Yes, you read the title right…Vegetarian Tacos and Burritos. For those of you don’t know, I practice vegetarianism 10 days a month. That is 1/3 of a month without any red meats, seafood, and chicken. Lately, I’ve been trying to be more creative with cooking vegetarian food instead of just cooking tofu stir-fry all the time. I’ve been turning a lot more recipes I like eating into vegetarian recipes. Believe me, I’d rather have red meats and chicken over tofu and “fake” meats any day, but I make it work. As long as all the the flavors are there and the dish feels authentic, I’m okay with that. 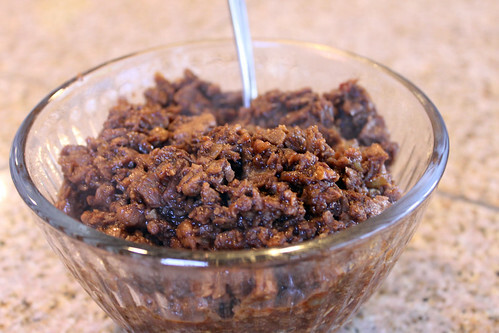 Today I decided to make my own vegetarian Mexican ground meat. This meal is inspired by the Taco Bell vegetarian menu. 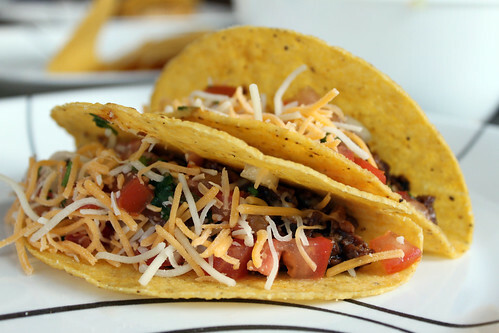 On my “veggie days,” I like to order tacos and replace ground beef with beans. I always thought it would be cool if one day I can make some vegetarian tacos that had more texture! 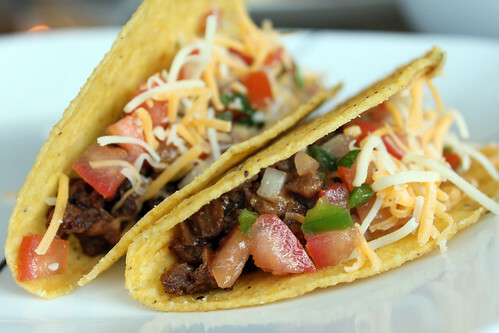 Beans in tacos are fine, but its just too bean-y. I found these MorningStar Farms Meal Starters Grillers Recipe Crumbles that look like ground beef and bought some taco shells and went home and made my own vegetarian ground meat. With the right seasoning, Jane couldn’t even tell if I was real meat or not. Note: This recipe is a vegetarian version, but you can always substitute ground beef, ground turkey, or ground chicken and it’ll work! 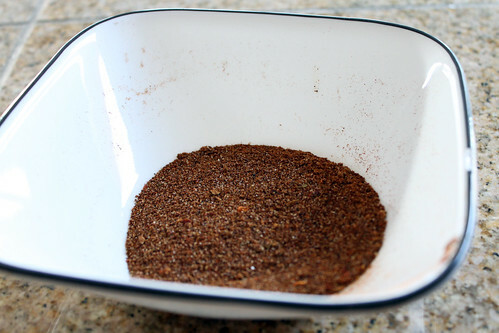 Also, with the seasoning recipe I provided, you won’t have to buy Taco Seasoning packets anymore. In a small bowl, mix chili powder, ground cumin, dried oregano, paprika, garlic powder, onion powder, crushed red pepper flakes, salt, and black pepper and set aside. Finely chop onion and mince garlic cloves and set aside. Heat up wok or skillet on Medium High. Add oil and cook onions until translucent. Add garlic and stir for about 1-2 minutes. 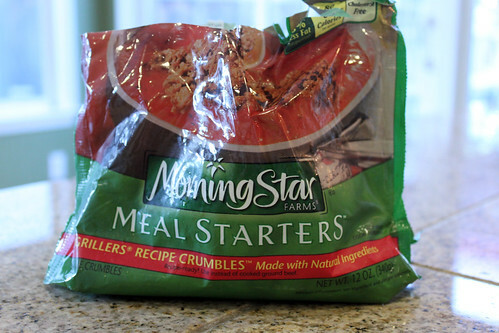 Add MorningStar Farms Meal Starters Grillers Recipe Crumbles and begin breaking clumped pieces and cooking for about 1-2 minutes. 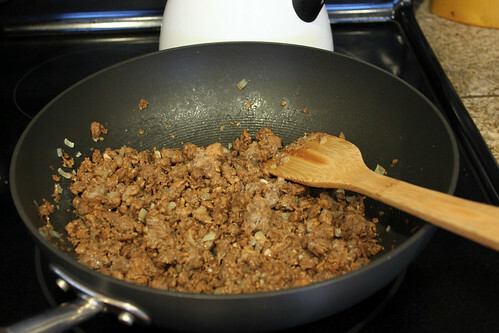 Begin adding 2-3 tablespoons of seasoning to the Crumbles and mix together for another 1-2 minutes. Add more seasoning to taste. When Crumbles is browned, add 1/2 cup of water and turn the heat on High and continue to stir the Crumbles until most of water evaporated. 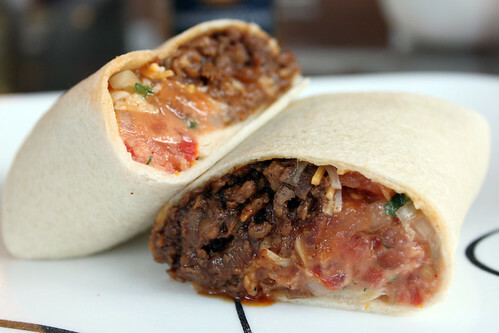 Assemble your taco or burrito with your favorite toppings and enjoy!